This is a combbined wall system.A pairs of AZ sheet piles are welded between two pipes,connected by C9 interlocks. The soils are very soft,which mean the wall must have a very high modulus of section.Finally clients accept Grand Piling’s Combined systems. 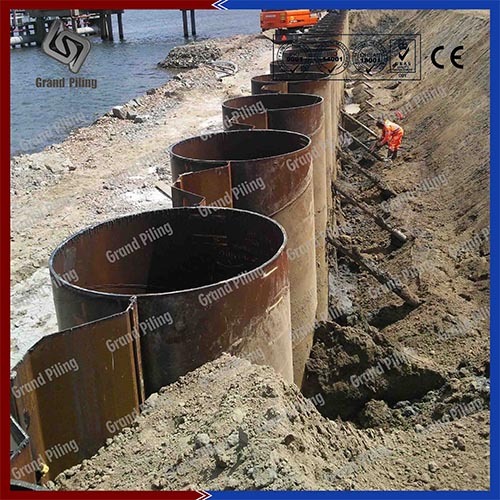 1500x18 pipes piles are used S355 steel grade,over 2500 tons. Length from 25 to 35m.C9 interlocks are also supplied and welded by Grand Piling.